MASK RANGE NOW WITH EVEN BETTER CARE FORMULA! An essential part of the beauty routine, lavera face masks moisturise and clear the skin, helping it to become firm and taut. The new-design lavera range of masks has been in stores since September. The Anti-Wrinkle Mask is immediately effective with a new Q10 ingredient composition, and the Skin-Clearing Mask also rates highly with a new and improved recipe. 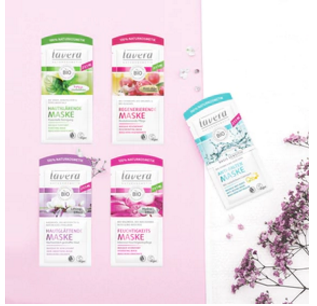 Face masks from lavera Naturkosmetik make the perfect addition to any face care regime and are available right now in a practical double-pouch sachet, suitable for two applications. The popular Q10 Anti-Wrinkle Mask noticeably reduces skin creases with organic jojoba and organic aloe vera. 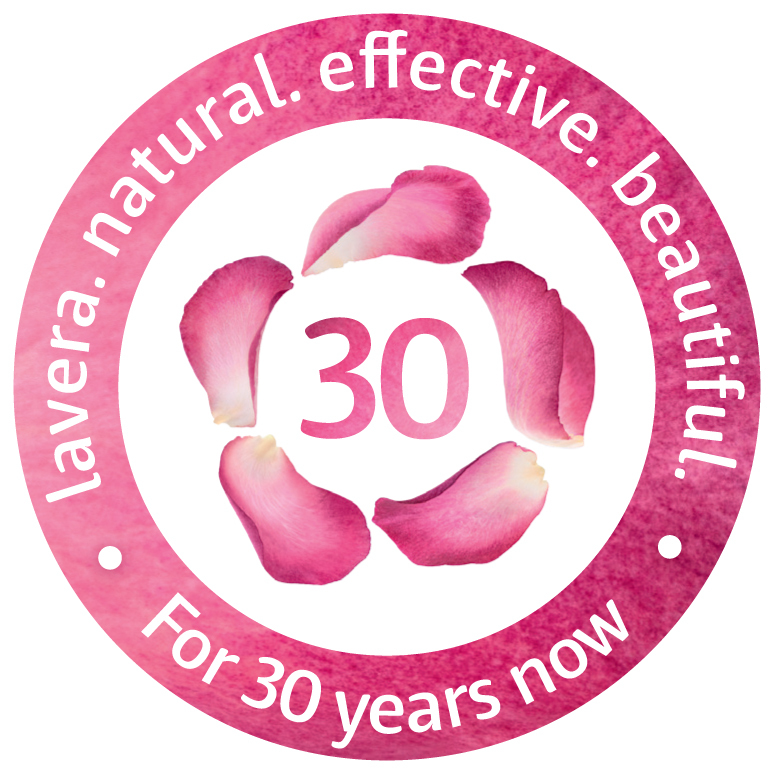 In addition, lavera Naturkosmetik’s researchers have developed an innovative combination of ingredients using natural Q10 combined with power ingredients to work actively against skin ageing. The combination of ingredients helps prevent wrinkles and promotes skin regeneration. It also moisturises and helps the skin to absorb this moisture. The lavera Skin-Clearing Mask with organic mint and Dead Sea salt cleanses the skin right down to the pores. Mineral clay gently absorbs excess skin sebum for a smooth, refreshed complexion. Apply regularly to prevent skin impurities. The usual formula moisturising mask, the regenerating mask and the skin-smoothing mask are available in stores. Care tips: Apply to the face after cleansing once or twice a week, leave to work for 10–15 minutes and either leave on overnight or wipe off the remaining product with a facial tissue. Please wash off the skin-clearing mask.